Councillor Eddie Fitzpatrick has been elected Cathaoirleach of Eastern and Midland Regional Assembly at the Assembly’s Annual General Meeting on Friday 13th July. Councillor Fitzpatrick, Fianna Fáil Party, was appointed by Offaly County Council to the Eastern and Midland Regional Assembly when it was established in 2015. 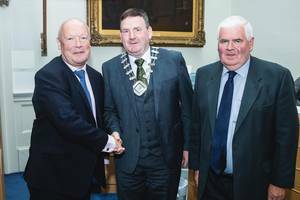 Speaking at the AGM, the newly-elected Cathaoirleach thanked all the Members for his unanimous election and underlined the importance of the work of all the councillors on the Assembly. He is delighted to take up the position and is looking forward to working with the Assembly’s Director and the rest of the staff. Councillor Catherine Fitzgerald was also elected Leas Cathaoirleach at the meeting. 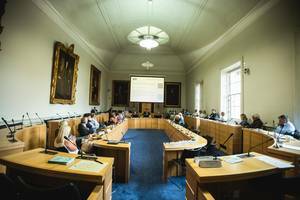 Councillor Fitzgerald, also of Fianna Fáil, is a member of Laois County Council and has too been a member of the Assembly since its establishment. 3rd Floor North, Ballymun Civic Centre, Main Street, Ballymun, Dublin 9.